So you had been assigned with the task to lead a project in the organization. 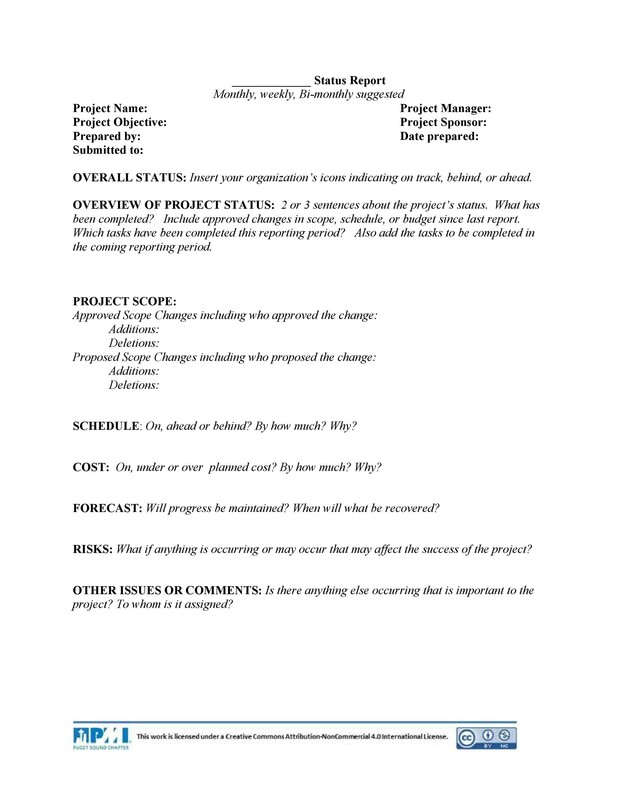 You may have been assigned as a project manager or you may have not. Either way, you should know how to make a status report template. 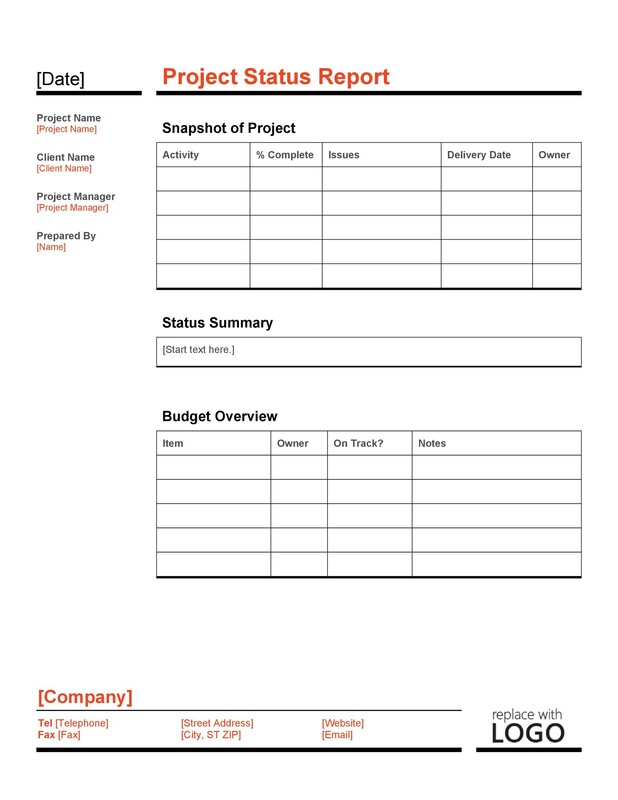 The main problem with reporting the status of a project by making a status update template is that a lot of people do not see and understand the perspective of a manager who is in charge of a project, whether big or small. 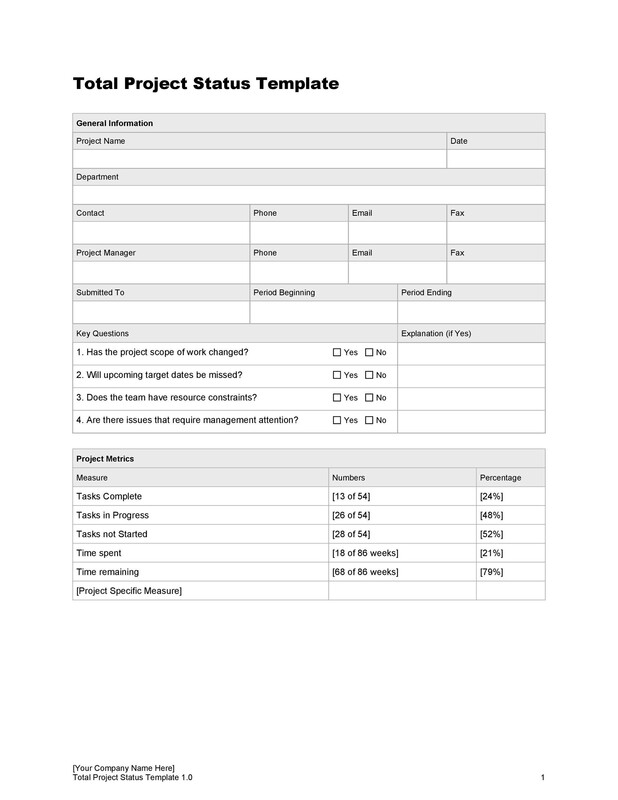 If you’re the assigned project manager, making this report can be quite easy. But if not, then comes the challenge. You may have to do research and speak to those involved in the project to be able to find out the whole status. Status reports are a very important way to keep your clients and other key people updated regarding the status of a project. This report will allow everyone involved to have open and continuous communication, allowing updated exchange of information. 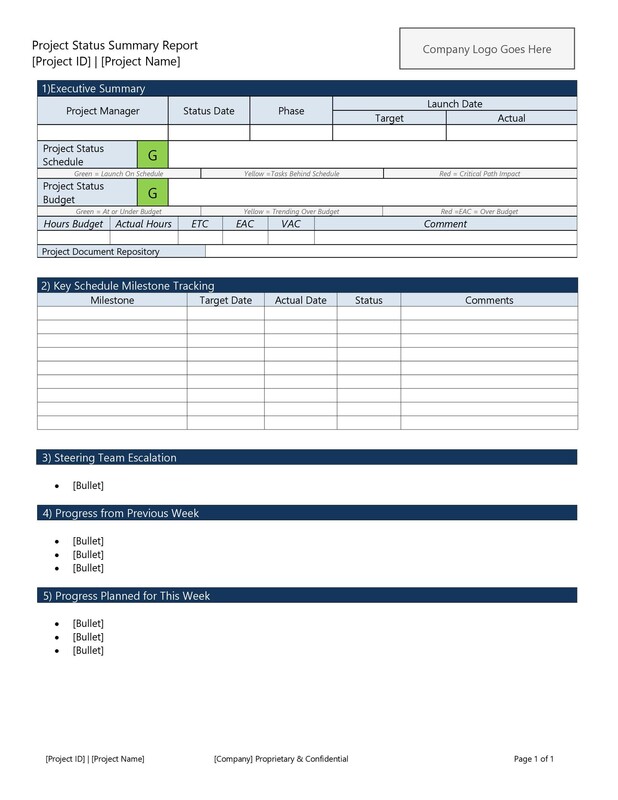 They can be used to note any project milestones and as a reference for making any important decisions. You can ask for or acquire help when you need it. The key investors and stakeholders are kept in the loop with regards to the status of the project. Everyone involved in the project can get a visual and concrete look at the accomplishments as they happen. These reports are really very useful. When the status of a project is regularly reported, the project is kept on track and all those involved are productive. 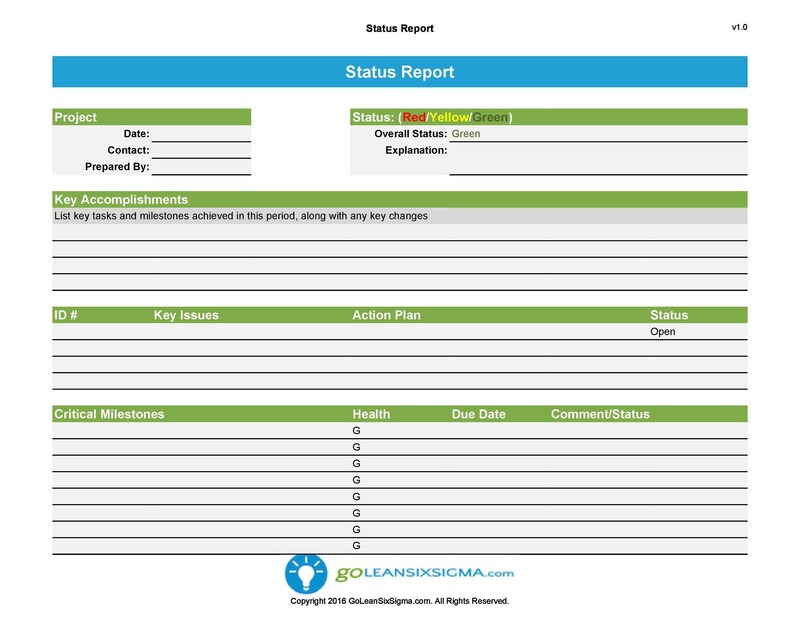 Originally, these kinds of reports were created by managers who wanted to have a written record of all the work their employees do. 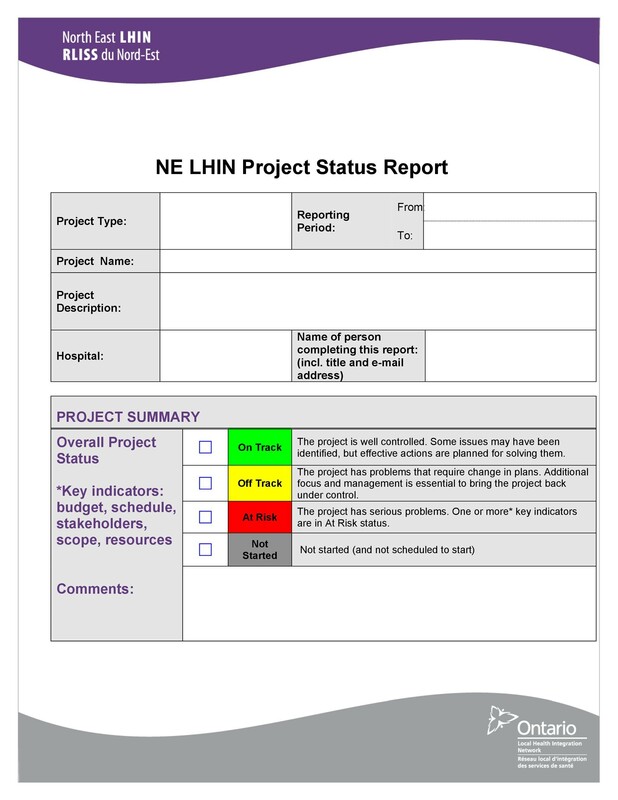 When you are working on a huge project which is supported by different stakeholders, the report can be a very useful tool. It can be used to bring everyone’s focus on the same issues each and every week. You can emphasize the tasks for the benefit of the stakeholders to keep them informed. Any kind of project will involve a lot of different things. Having such a report clarifies these things and brings them forward. 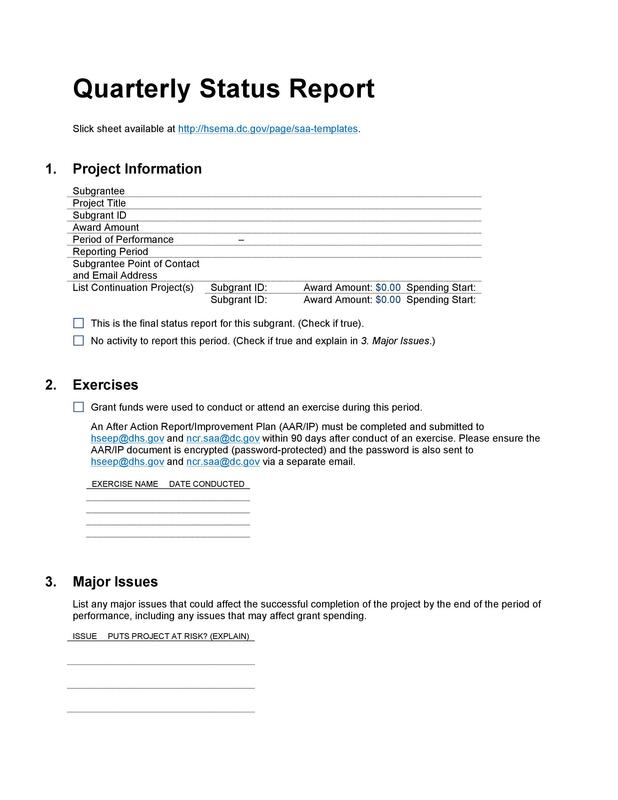 You can include in your report any concerns such as delays or issues in terms of the project budget. You can also highlight milestones and accomplishments, making it clear to the stakeholders that the project is going well. To be able to check the progress and make decisions regarding the project, you will have to keep track of it regularly. 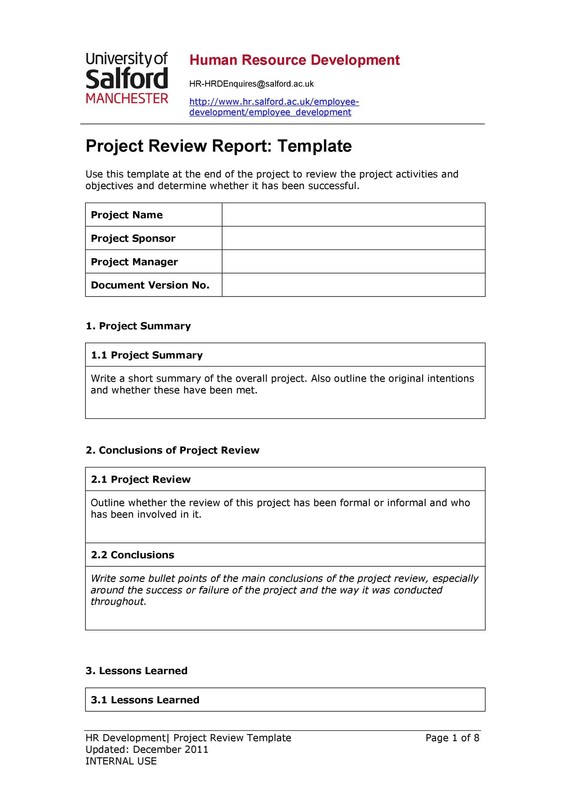 You have to know everything that has happened throughout the project and making a regular report on it will help you do this. Also, if you are not around, the project doesn’t have to stop as the people left behind can use the report as a reference. 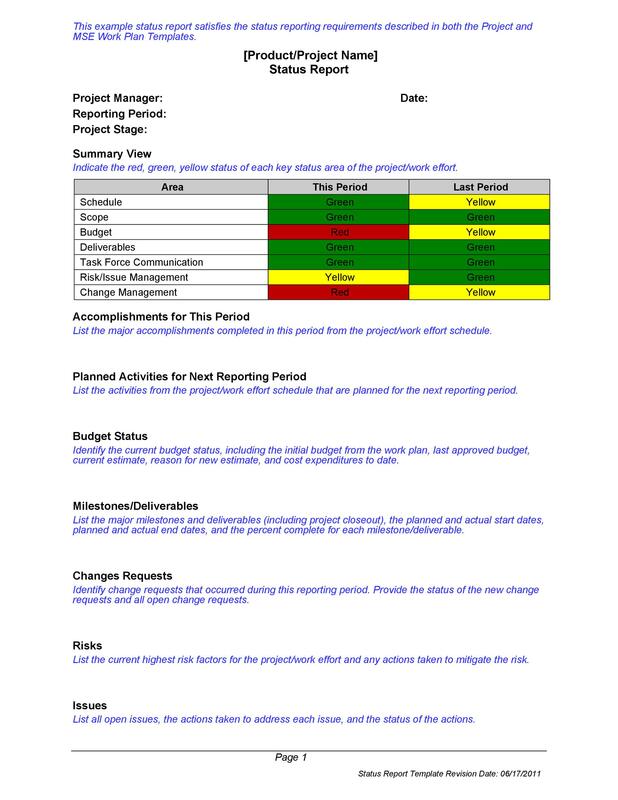 Making regular reports on the status of your project will allow you to see the bigger picture more effectively. You will be able to see all the progress as well as what needs to be done. Seeing the bigger picture will allow the key people to make better decisions for the success of the whole project. Keeping everyone updated on the status of the project is really important. This is so that you will be able to catch and work with any delays or issues. This is also important so that everyone knows how well the project is progressing. 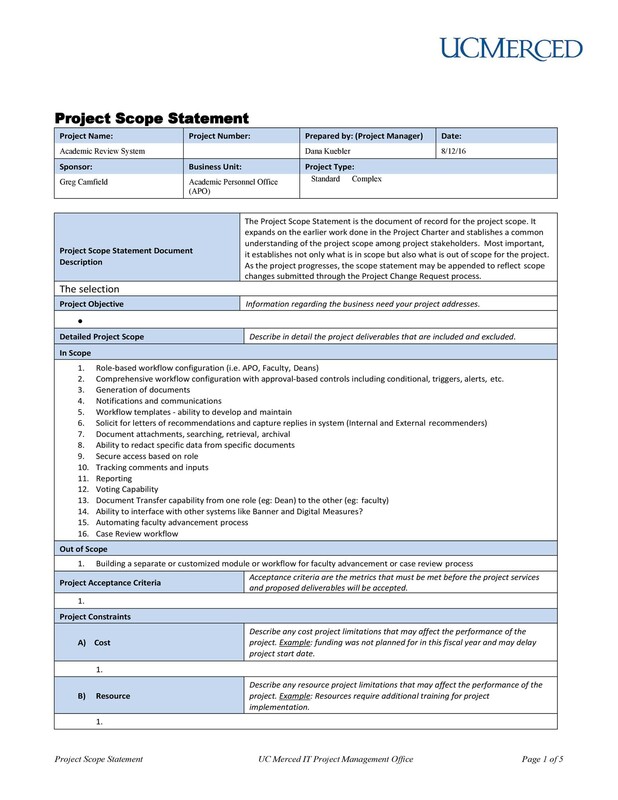 Making a regular report means that the project manager (or at least someone who is in charge) performs a regular analysis of the project’s performance. All the aspects of the project are analyzed, which means that all the actions which need to be implemented are done. Finally, the report will serve as a motivation and inspiration for you and for everyone involved. When you see that your project is progressing as it should be, it gives you a good feeling. Also, when you are able to see the milestones and accomplishments, you will definitely feel more motivated to keep pushing on. As you can see, making a good status update template is very beneficial. Not only for you but for the project and the participants as well. But what are the key elements of such a template? Let’s go through them next. Red means that there are problems or issues which might affect the project. Therefore these problems need to be solved immediately. Yellow means there are problems, but there are also plans to solve them. So if these plans work, then the problems won’t impact the project. 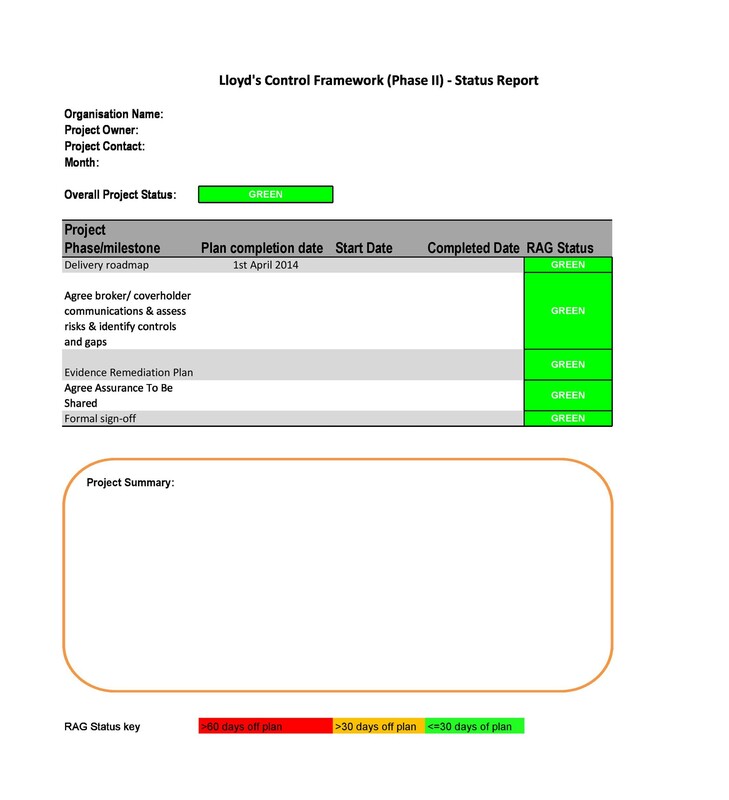 Green means that the project is progressing within the timeline. 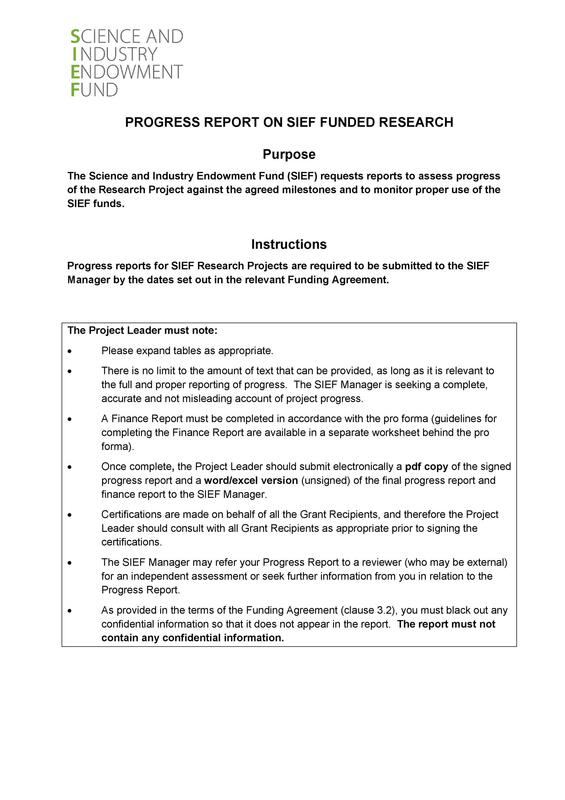 This is the most important element of the report – knowing whether the project is on track or is delayed. You can break down this overall status if you want, into different categories. Categories can be the people involved, the budget, the scope and other such relevant groupings. The name of the milestone along with the project plan. The start and end dates of the milestone. The current status of the milestone. If it hasn’t been accomplished yet, you can revise the end date. Again, if the milestone hasn’t been accomplished yet, add in the percentage of completion. Any risks or issues which are related to the milestones which have not yet been accomplished. These are any and all issues, risks, and concerns which have not yet happened. You have to identify all potential risks and include them in your report. Of course, when writing these down, also make sure to include all the potential solutions to the risks, issues, and concerns. Also include those which have happened, whether they were forewarned or not. 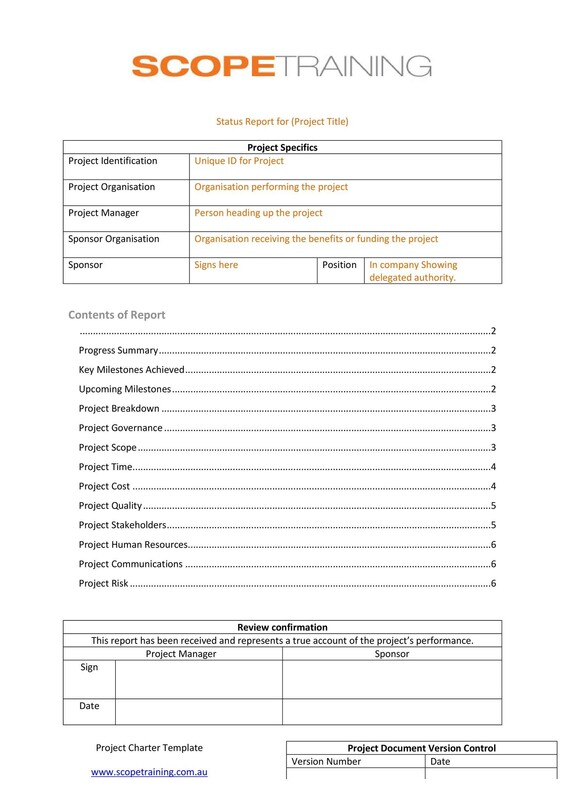 It’s important to write in your report all the project accomplishments, to inform your team and the key stakeholders. You don’t have to write down all the details on this, but it’s good to include them. These are the points which are not specific to any one person. But instead are owned either by part of the team or the whole team. Once these are done, the goals can then be moved to the accomplishments. 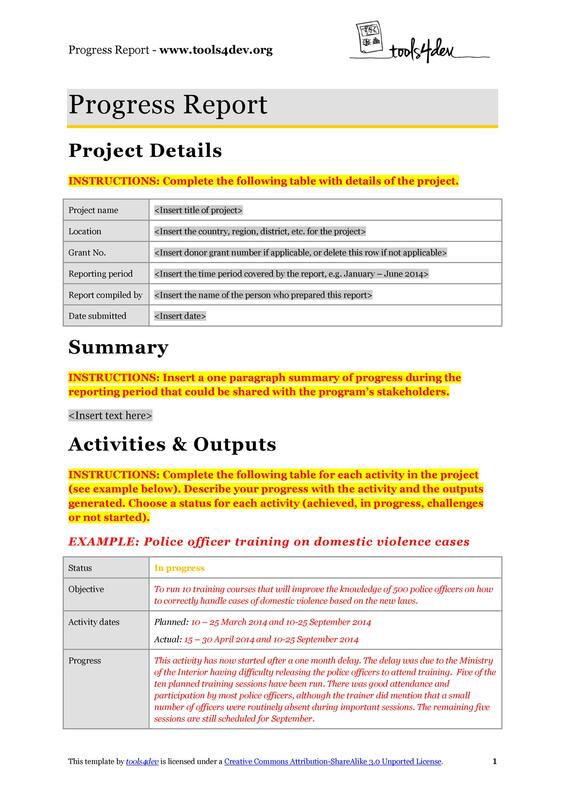 When making your report, include all the major objectives, either of the current week or the following week. 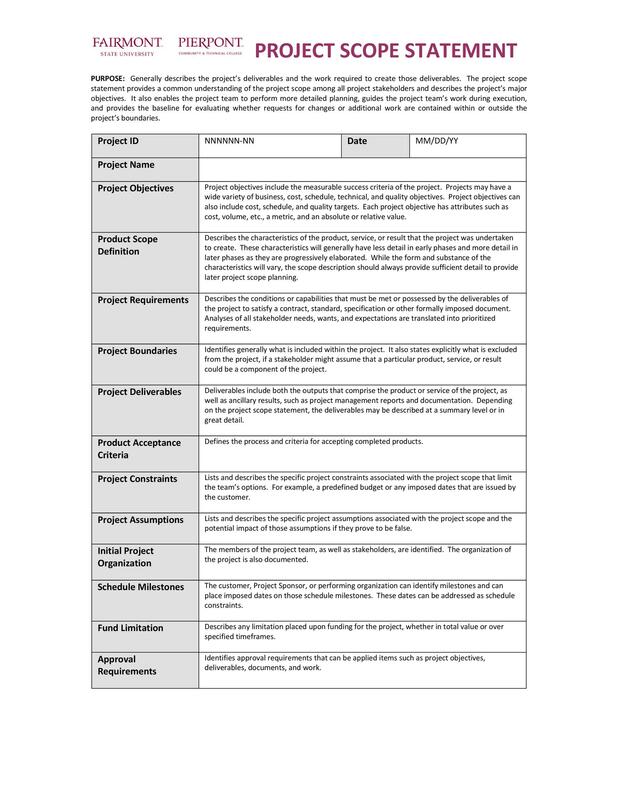 Action items, on the other hand, refer to specific actions which are assigned to a specific individual. These also include the date requested and the due date. Once done, then the action items can be placed in the accomplishments section. It’s important to include all major decisions as well. These pertain to the problems and issues which may arise. So when the time comes that the decision was made and there are questions, you can refer to the report. Emphasize the most recent major decisions and start a decision about them. The decisions must be accepted and agreed upon by the majority before they are officially documented. 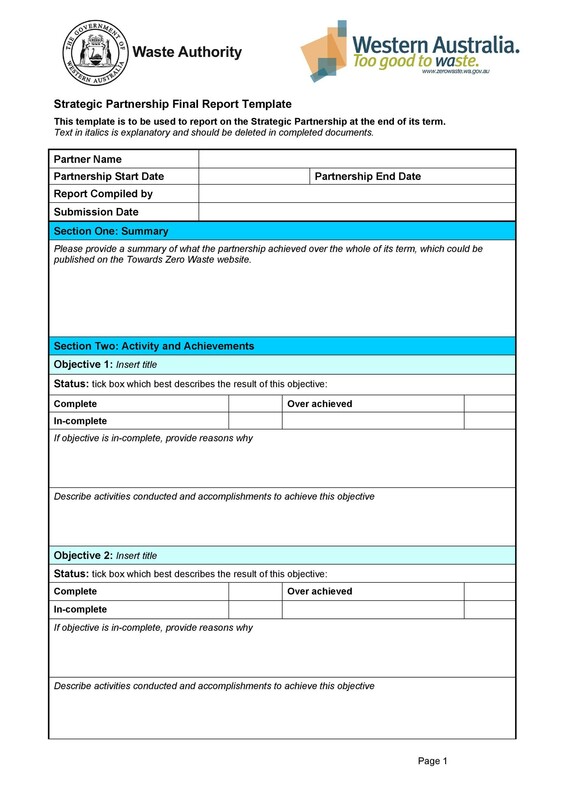 Including all these key elements will ensure that your progress report template will be an effective one. Think about these elements and gather all the information needed before you start writing your report. In the next section are some helpful tips for you. In any kind of company or organizations, clear and frequent communication is very important. So when there is a project where all the participants are working on different aspects, then updating and regular status reporting is effective. To be able to make an effective report, you need to organize all your information and communicate them. In doing that, you will be able to avoid common mistakes and will be able to make your report clear and compelling. Here are some helpful tips for you. This may seem like a strange tip, but it’s actually a very important first step. To have a report which will provide great impact, you will need to understand your audience. Ask questions to know what their priorities are. Doing this will give you a better idea on what you will write about and on what you will include in your report. When you are done asking your questions and you’ve collected all the relevant information, then you can start writing your report. Start with the most general points then move on to more specific and detailed ones as you are progressing with your document. As you are writing your report, don’t focus on the past. Instead, place more focus and emphasis on the results of your report and ultimately, your project. You don’t need to look back on everything you’ve done and write all about it. That’s actually the very last thing you should do. When you focus on past activities and include them in your report, then you will be adding irrelevant information in your report. To you, the activities may seem relevant. In reality, though, the readers aren’t interested in details such as every step you took and every activity you did. 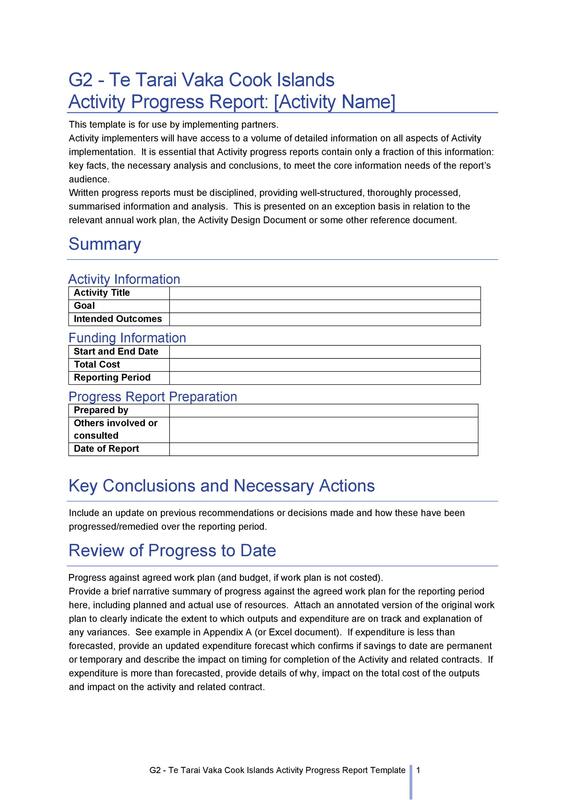 There are more important things to include in your report, mainly the results and objectives. These are information which the readers will be very interested in. To be able to write down the results, then you have to do a lot of deep thinking. 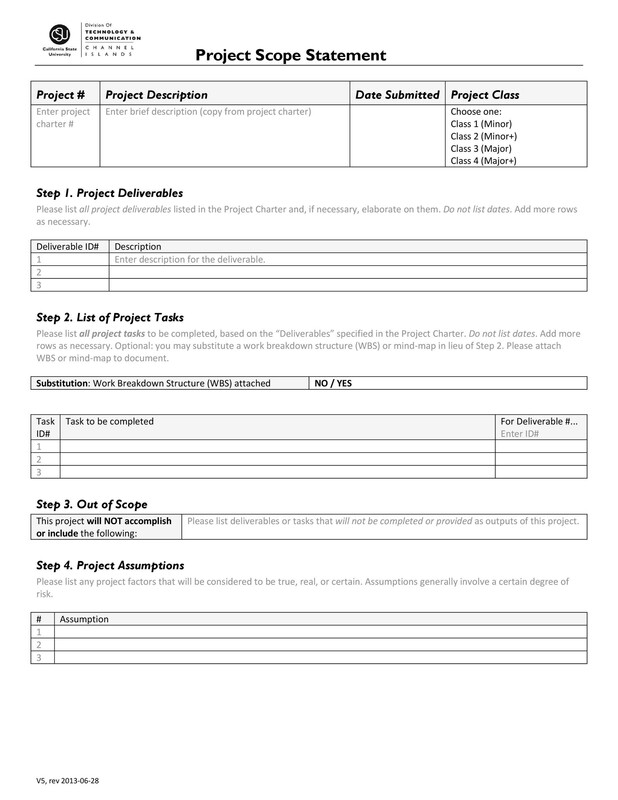 A lot is involved in making a report so that the status of your project can be completely – and relevantly reported in your document. 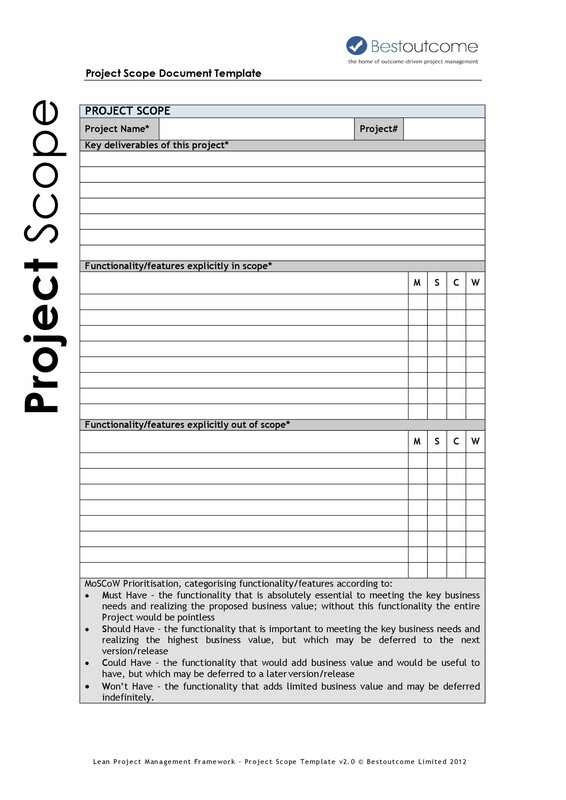 There may be different formats for making project status report templates, depending on your own company. Previously we had discussed the key elements which must be included. When you are writing your report, make sure to include them all. You may have to spend more time on some and less on others. Either way, do the work and add in all the important elements. The traffic light method- Using color coding (red, yellow and green) to provide the readers with a visual cue of the status. 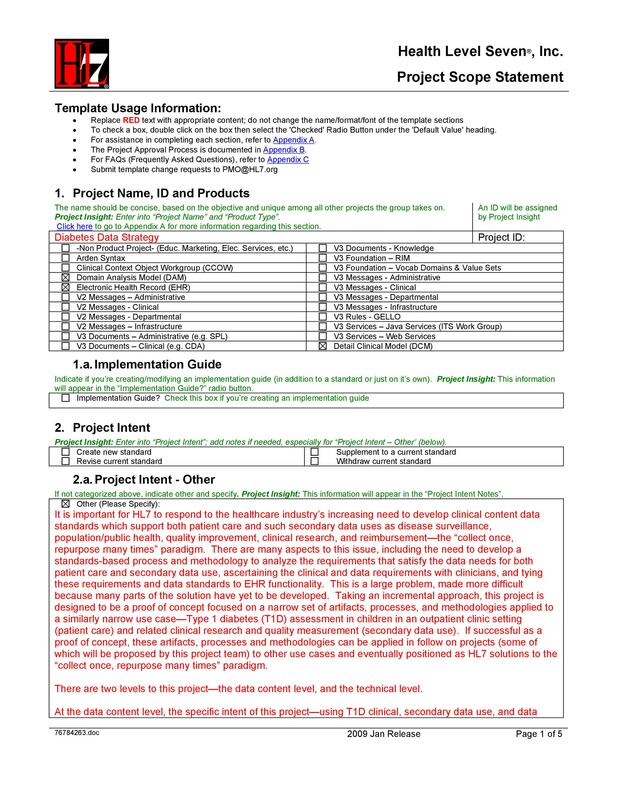 Using these color codes will allow your readers to quickly assess the information in the report. Percentages and statistics- You can use charts and graphs, using percentages and statistics to communicate the status of your project. These can show how each task is progressing. Use a Gantt chart– This tool is typically used for clearly showing the timeline of a project, a powerful tool in project management. Use this kind of chart carefully though, as they can be a challenge to read if they are too detailed. Instead, come up with a simpler version of this chart to help out your readers. 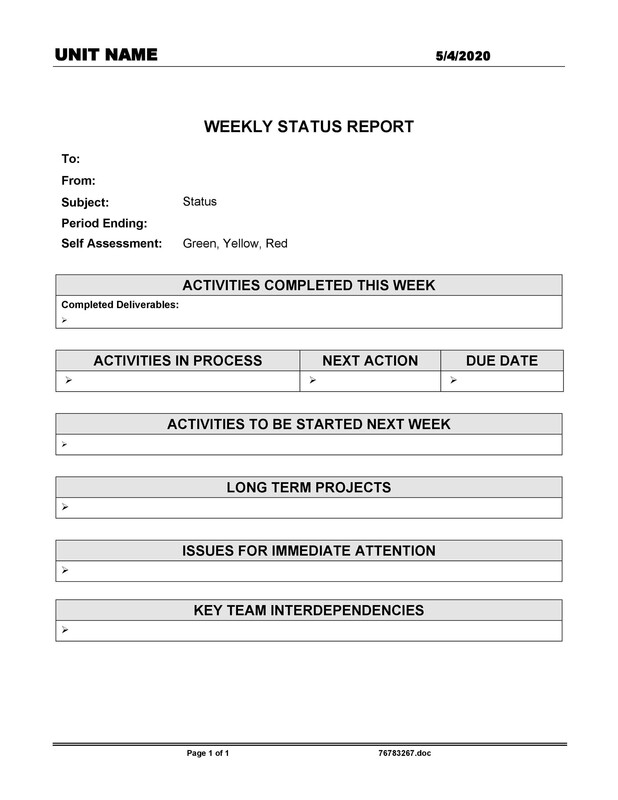 Use an issues chart- Using this kind of chart will depend on the type of project you are making a report on. If applicable it will be very useful to monitor all of the issues which have been encountered throughout the project. 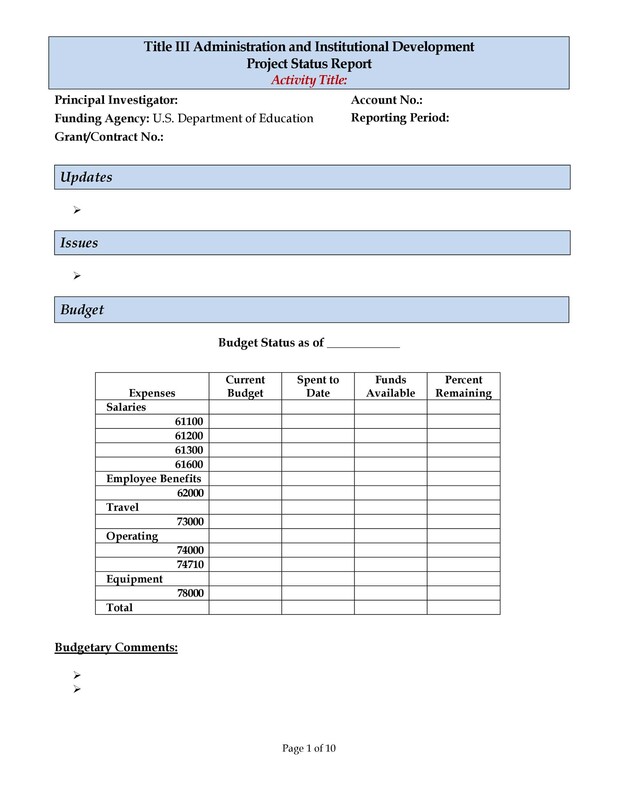 This information can be presented using simple line charts or column charts. If your company has its own particular template, by all means, follow it. If you are supposed to write a lengthier report, then do so. However, if there are no such rules, you may have to keep it as brief as you possibly can. Try putting yourself in the shoes of your readers. If you are reading such a report, you will want to know what’s going on with the project – quickly and easily. You will appreciate a brief but direct report. As compared to a long document which contains information which is actually irrelevant. 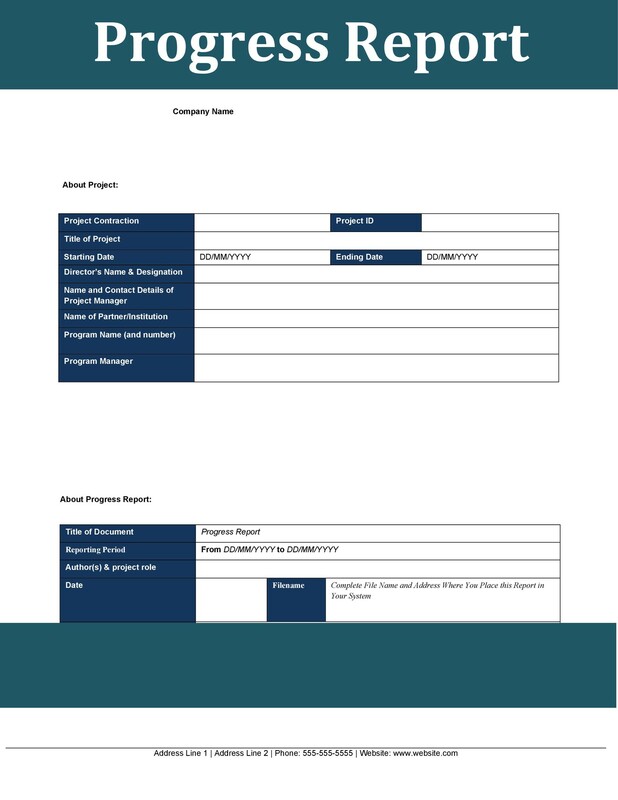 So if a brief and complete report is what you want to read, aim to make such a report too. Of course, even if you are to make a brief report, you must ensure that you include everything in it. If your manager or the key stakeholders need more information, he/she will ask for it. 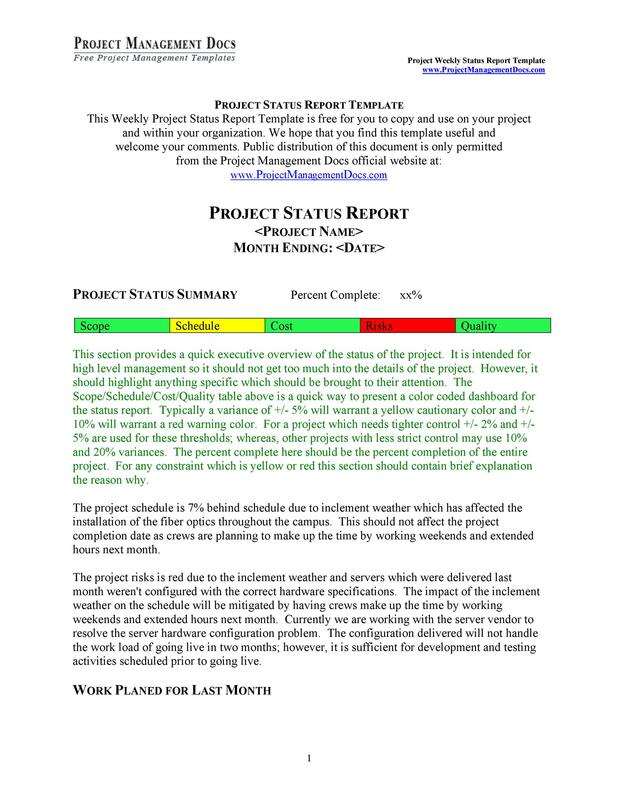 It’s a lot better for the readers to understand the overall status of your project, as seen in a brief report. If in the beginning, you need to ask questions, by the time you finish the report, you should have all the answers. If there are any unclear points in your report or if the readers have questions, you must be able to address them correctly. If you need to, come up with extra documents and materials which will help you answer any relevant questions. 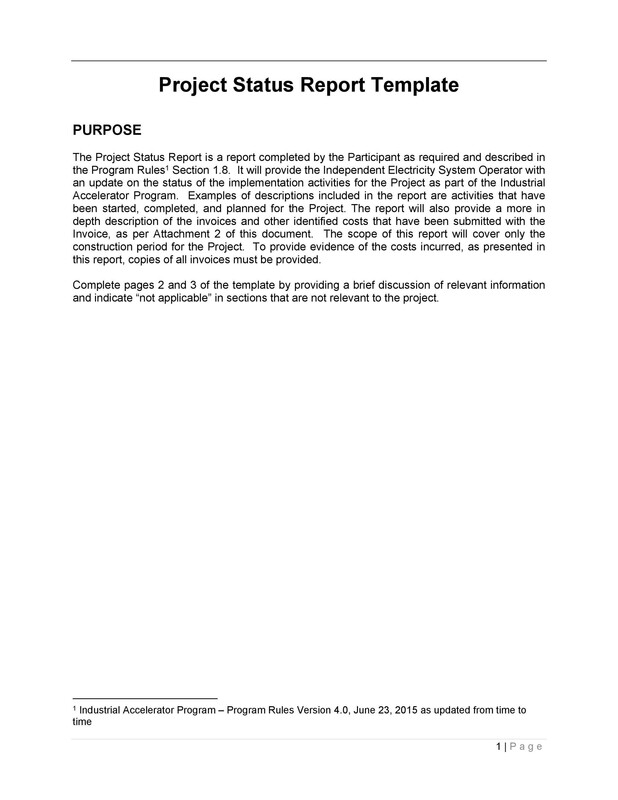 Typically, these reports come with a meeting or a discussion about the project. That’s the perfect place to present the information on your report and answer any questions. Keep your information organized at all times. These tips will really help you out. Internalize them and try applying them when you are actually making the report. In the final section, we will talk about steps to writing a great report. 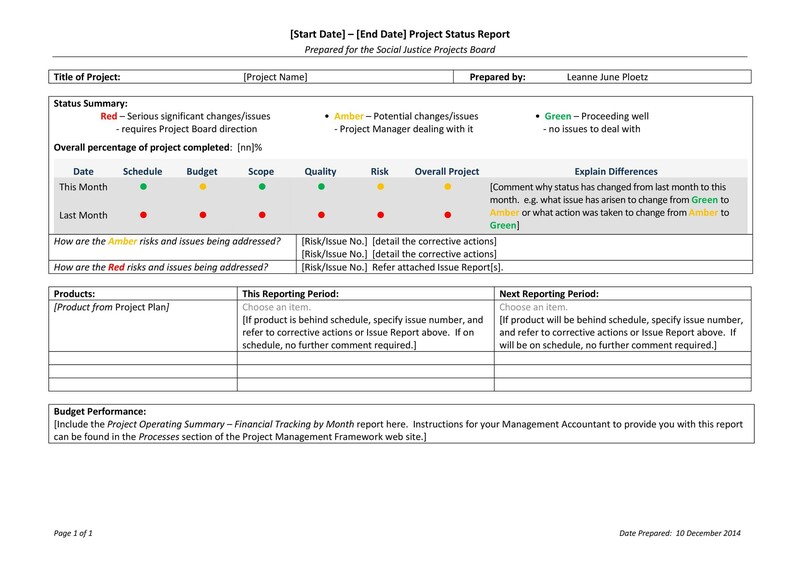 When tasked to make a status report template, you don’t have to be nervous. It’s actually quite easy, that is if you have all the relevant information on hand. It’s also helpful if you know how to write the report. Here are some steps to guide you. First things first – write the name and the date of your report. If possible, you can merge the two. Otherwise, you have to type them in separately. Both are equally important. 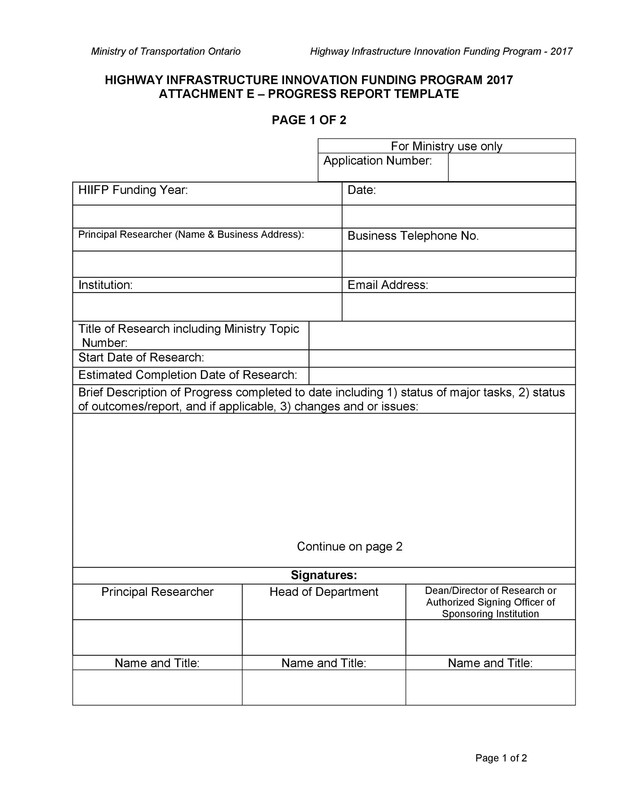 If you’re making a written report, place the name and the date of the report as the header of the document. However, if you’re emailing the report, you can type this information on the subject line. Give the important details about the project. These are the title of the project or the assignment, the start and end date and the names of all the people who have worked or are working on it. Give an explanation regarding what has already been accomplished. 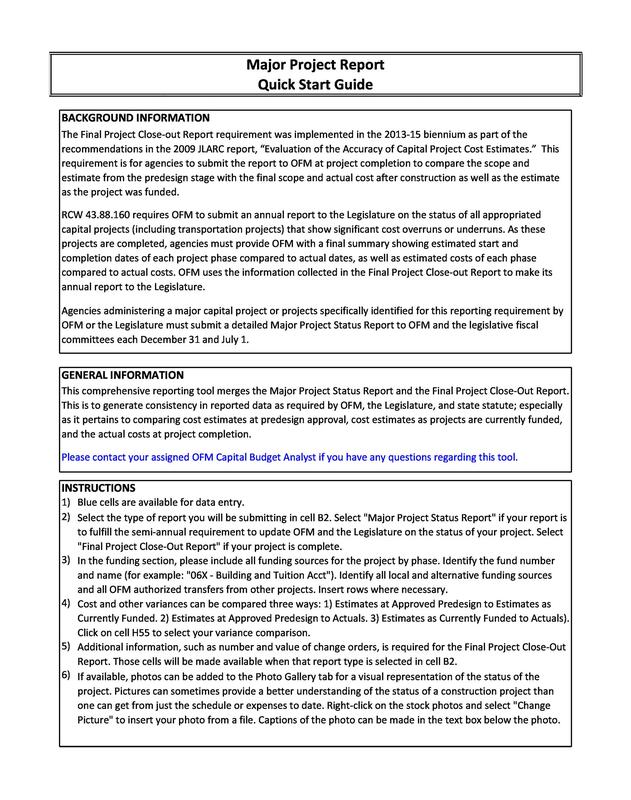 This is part of reporting the status of the project. Make an appropriate title for the section and list everything that has been done. 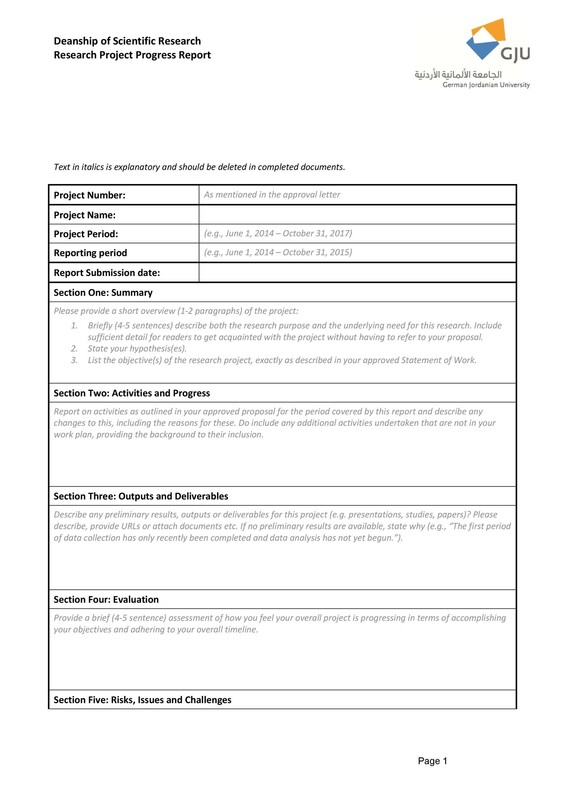 Specify the period for the report. This is especially important if you will be making status reports regularly. When writing your sentences, use active verbs to start them. 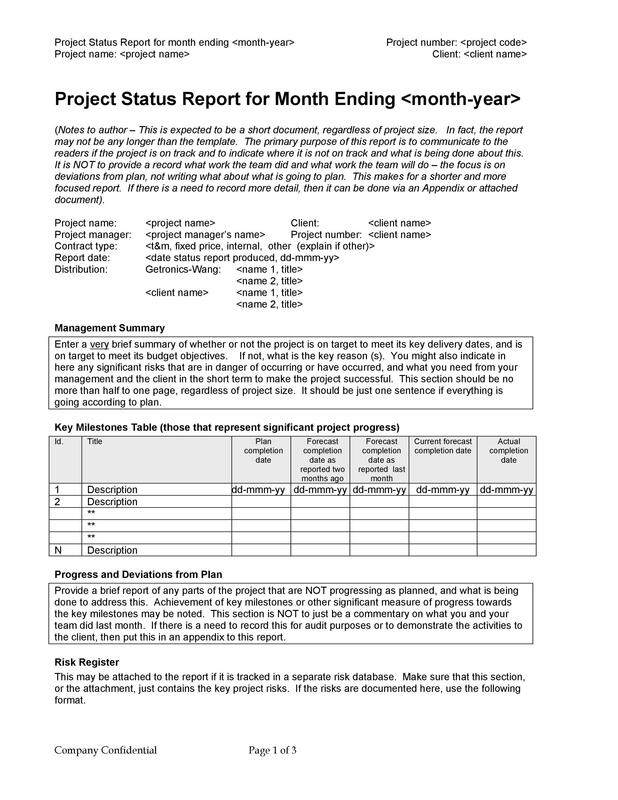 If you’re making a very short weekly report to update the status of a project, then up to 6 key bullet points may be enough. Make a list of everything that is to be done in the next period of reporting. 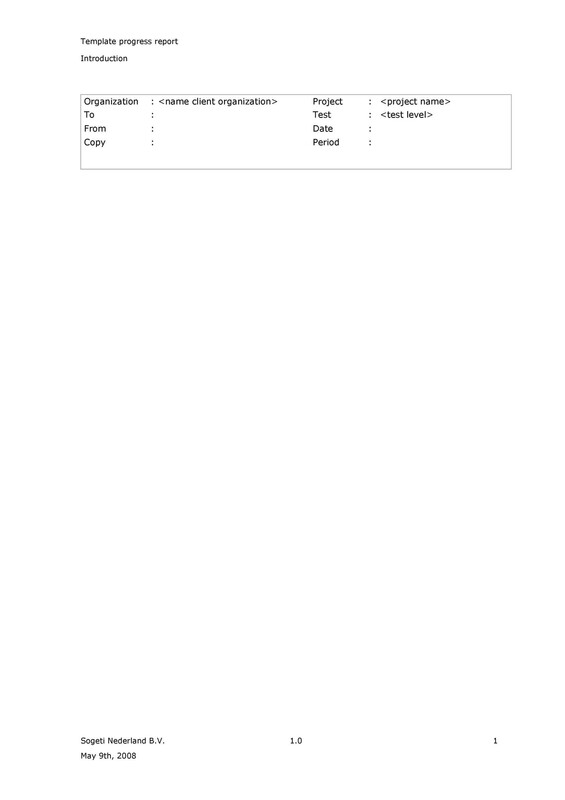 Make a heading for the section then list the activities/steps. Estimate the time each task will need to be completed, if you can. 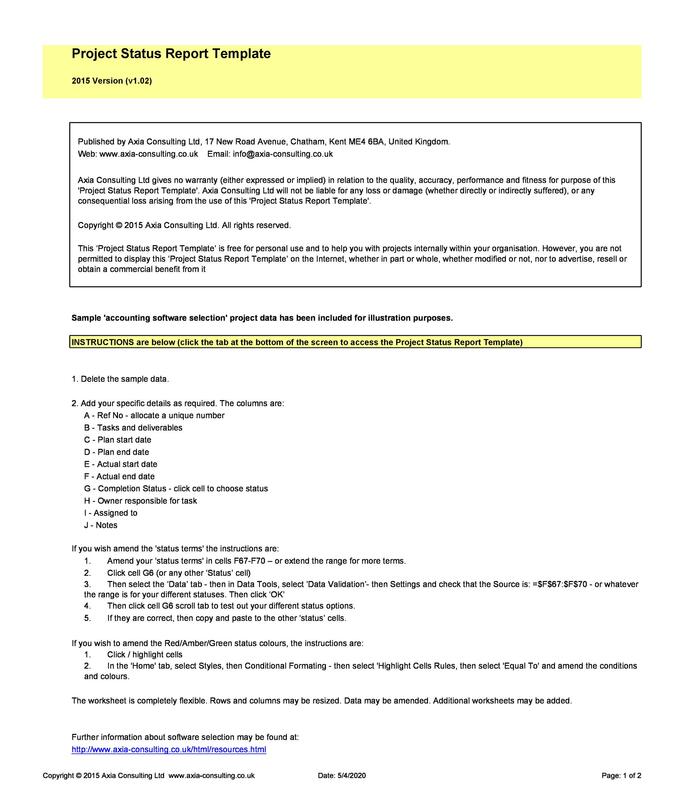 You may use schedules or timelines which have already been made as a reference. Have a discussion about any problems or potential risks. This is the part where you need to ask for help from other members of the project team. Again, make a heading then discuss the content for about 1-2 short paragraphs. The potential problems, as well as the problems, have to be specific. And if you can, include potential solutions. This is so when the problem does arise, you are prepared for it. If you have a current problem which you are still working on, state it in the report. Doing this ensures the reader that even if there is a problem; you are already taking steps to resolve it. However, if the situation doesn’t get better, at least you’ve written about it in the report. Then you can take the necessary steps to fix the issue or the problem. Before submitting or presenting your report, make sure to proofread it more than once. In doing so, you can check for any mistakes in spelling, grammar, and punctuation. You can also ask another member of the project team to help you out.